Happily Ever After Thoughts: WOO HOO...NEW CHRISTMAS RELEASE! Four brand spanking new Christmas stories to warm your heart by four of the BMGs -- Tia Dani, Tina Gerow, Tina Swayzee McCright, and yours truly...all for only 99 cents! It just don't get no better than that. Get your copy today at any of your favorite outlets. Brock Turner doesn’t believe the holiday magic of the tiny town of Garland Creek can grant his Christmas wish, but fate works in mysterious ways. Brock’s wish is to have his mom with him through the holidays. However, she tragically loses her battle to cancer just days before Christmas... But not before she tells him he’s adopted. 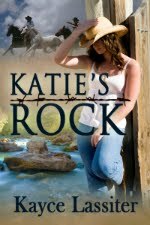 Her wish is for Brock to find his birth mother, and he promises he will do everything he can. Nurse Anastasia Callahan has been a Christmas angel to Brock as she helped ease his mother’s pain during her last days. 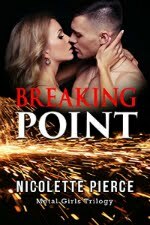 Now Anastasia and Brock must work together to answer his mother’s dying wish and locate the birth mother he never knew. Brock and Anastasia grow ever closer as the holiday magic of Garland Creek weaves its spell and just might grant his wish in a strange and mysterious way.